The strips are 1" finished. The layout of these blocks is done in a big barn raising style. The border is a mission valley woven. Traditionally the center of log cabins were red or yellow representing love or warmth in the home. A friend of mine hung this quilt in her den for years. She needed something to cover the wall while decorating for a party and we both thought this quilt was just the thing. 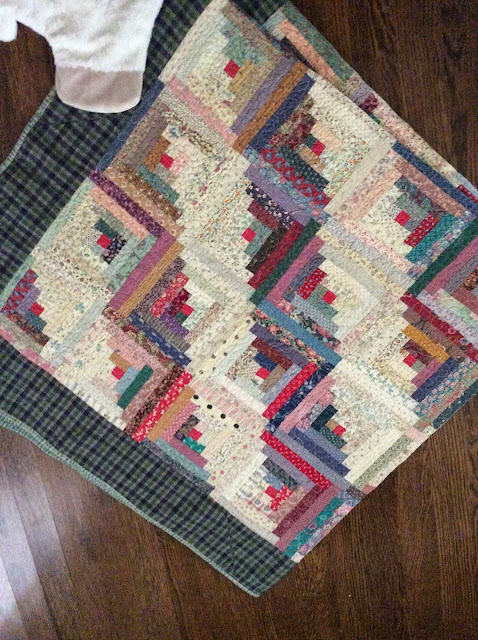 Since her home was like my second home the quilt stayed there for years until I pointed out to her that the corner of the quilt still needed the binding sewn down. 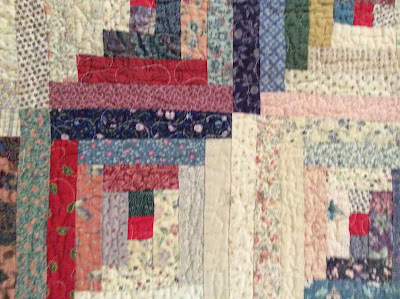 Another tidbit about this quilt is that I used all kinds of fabrics. 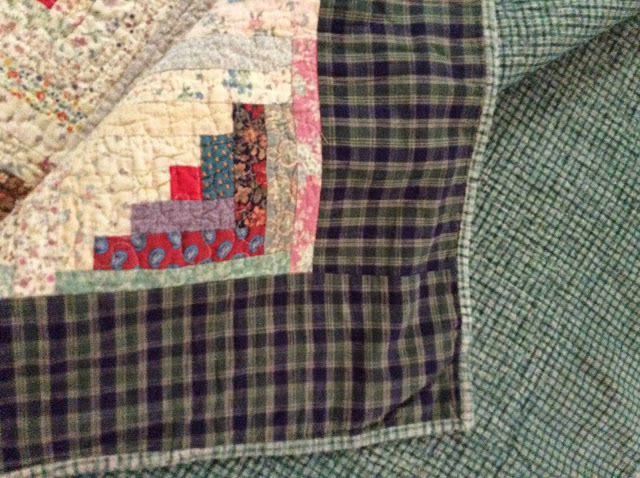 In the 80's I was a young mom and a fairly new quilter. There were not very many quilt stores around at this time. I would go to any fabric store and buy fabric by the inch. Can you believe that? I convinced them to quilt my patchwork and NO, I did not want 3" tall batting. Little did they know that I had a plan all along. I wet the entire quilt and threw it in my washing machine along with a little bit of tan rit dye. 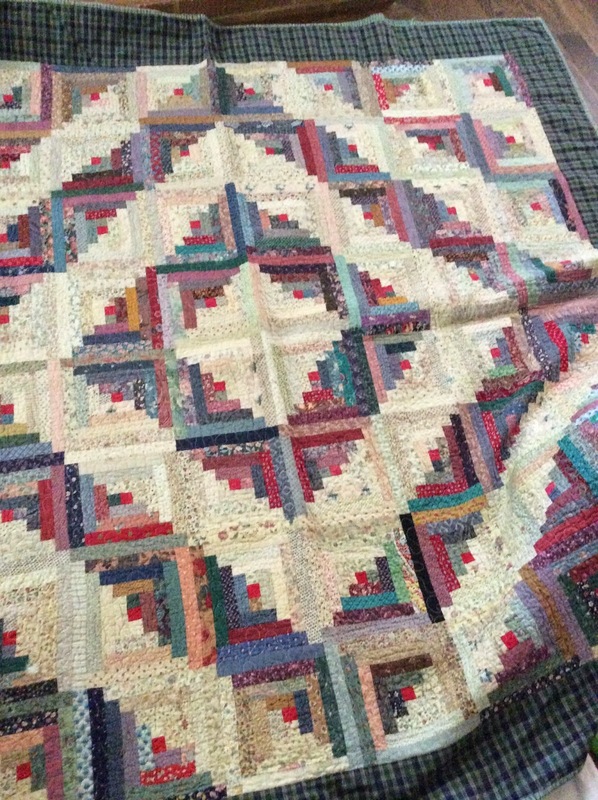 I thought what the heck, and loved the look of the quilt when I was done. Some how magically the tan dye made all those calicos "go-together."